The dynamic, witty and non-stop Father Kris von Maluski was assigned as Pastor to St. Mary’s Church by Bishop Thomas J. Tobin on July 1st, 2013. He was born and raised in Fall River, MA and graduated from Bishop Connolly High School and University of Massachusetts in Dartmouth, MA, where he received a bachelor’s degree in computer science. He later attended Providence College for an intense year of theology and philosophy prior to major seminar. His seminary studies took place at the American College of the Immaculate Conception at the Catholic University of Louvain in Belgium, where he received a master’s degree in sacred theology. In 2001, he was ordained by now Bishop Emeritus of Providence, the Most Reverend Robert E. Mulvee. Prior to the priesthood, Father Kris had worked in the secular world as a contractor for the U.S. Navy in Newport and was a youth counselor for an inter-denominational outreach group called Young Life. His natural ability to connect with young people later led to a position with the Diocese of Providence where he worked for eight years on youth evangelization before attending the seminary in Belgium at age 37. Before his assignment at St. Mary’s Church, Father Kris served for four years as chaplain of Salve Regina University in Newport. Other former assignments include assistant pastor of St. Anthony in North Providence, St. Edward in Providence and St. Francis de Sales in North Kingstown. Father Kris’ compassion for others, positive attitude and vigor for his role at St. Mary’s has sparked new energy in the congregation that has spread into the wider community. Last year, he embraced the start-up of the Church-sponsored “Return to Camelot” – a multimedia presentation about the Sept. 12, 1953 wedding of President John F. Kennedy and Jacqueline Bouvier at St. Mary’s Church. 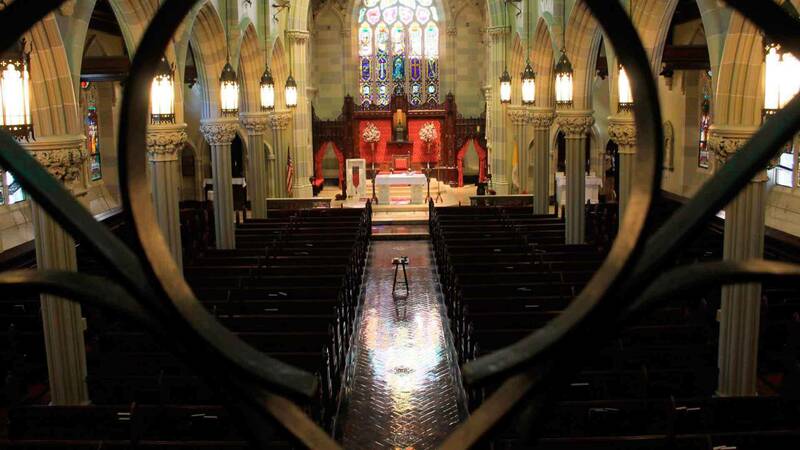 The program has earned St. Mary’s heightened attention from the public and brought thousands of local people and tourists from around the world to learn about America’s only Catholic President and the history and unique beauty of St. Mary’s Church. 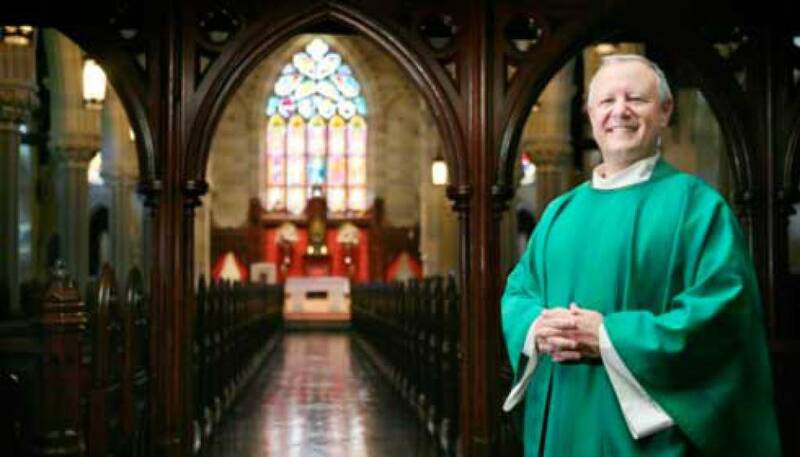 Presently, Father Kris is leading the St. Mary’s Souls in Harmony campaign to raise money for the refurbishment of the Church’s nearly 60-year-old pipe organ and the restoration of the choir loft. Cody came to St. Mary’s Church in May of 2013. Since his arrival, he has developed a vibrant and growing music program. Cody’s musical talent and enthusiasm for music and performance excellence has inspired people of all ages to join the Music Ministry. He founded St. Mary’s Youth Choir and expanded St. Mary’s outreach to the community through music and song. In 2015, Cody initiated the St. Mary’s Summer Concerts series, welcoming the public to free, weekly concerts during the summer months. Cody envisions the continued growth and expansion of a lively and dynamic Music Ministry at St. Mary’s, bringing to life the Church’s great treasury of Sacred Music. A native of Northeastern Pennsylvania, Cody began his career as a church musician at age 16, but has played the organ since he was 12-years-old. His primary organ instructors have been the versatile and talented Harry Martenas, the award-winning organist, performer and instructor, Mark Laubach, and the internationally acclaimed educator, William Porter. He credits his conducting and vocal skills to Dr. William Decker and Mary Decker, both retired music professors at Bloomsburg State University in Pennsylvania, and his high school choral teacher, Tim Latsha. 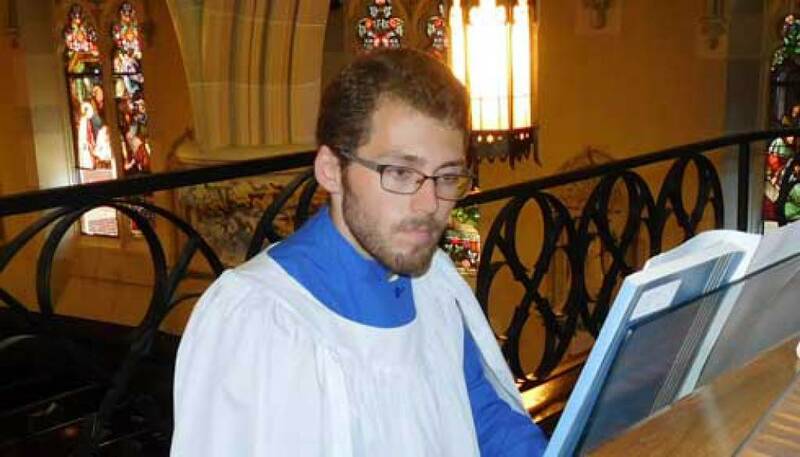 Prior to his arrival at St. Mary’s Church, Cody served as organ teacher for the Bloomsburg Preparatory School of Music in Bloomsburg, PA. As an organist, he has performed publicly throughout the Northeast and Midwest United States. Besides his work at St. Mary’s, Cody is the music director and member of the Board of Directors for the Newport Children’s Theatre, and teaches music theory at the Choir School of Newport County. Mary is a life-long Middletown resident and has been a parishioner of St. Mary’s Church since childhood. For many years, Mary has been a member of the Church Music Ministry and is a Parish cantor, leading the congregation in song at Masses and other liturgical celebrations throughout the year. She is an accomplished financial manager with over 20 years of experience preparing organizational budgets, payrolls and annual reports. 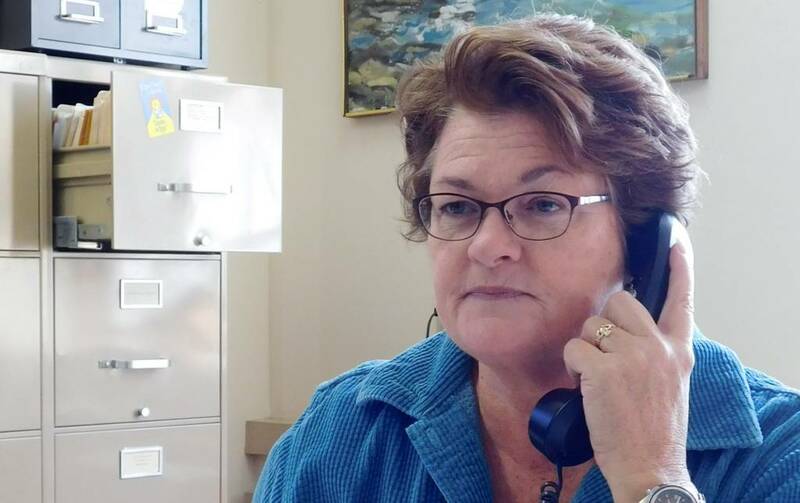 In her role as finance director for St. Mary’s and St. Augustin’s churches, Mary manages their day-to-day operations and is available to answer questions and solve problems for parishioners. She also supports community relations, works with vendors, prepares the Church Bulletin and works on special projects. Mary is also co-owner of D&D Fence Company and Rock Island LLC. She has a M.B.A. and Bachelor of Science in Environmental Science from the University of Phoenix. Lisa is a Middletown resident and has worked for St. Mary’s as part of its administration team for eight years. As wedding coordinator, Lisa manages between 36 and 40 weddings per year, working with engaged couples and their families to ensure schedules are confirmed, deadlines are met and the proper pre-marital paperwork is complete. She also acts as the church liaison to other ceremonial consultants to help make sure that everything goes smoothly for the bride and groom. In addition to supervising weddings, Lisa uses her keen management, communication and organizational skills gained from her former position as a production manager for two local magazines to coordinate baptisms and provide support to the Church’s religious education program. Lisa also contributes to the Church Bulletin, prepares Sunday Mass announcements, and is the Church’s chief archivists for all weddings that take place at St. Mary’s, as well as other faith formation programs. Lisa’s friendly smile, pleasant manner and knowledge of Church procedures and requirements creates a welcoming and reverent experience for all those individuals and families celebrating major life events at St. Mary’s. Debbie was born and raised in Newport, baptized at St. Mary’s Church, lived nearby the Church as a child, and attended elementary school at St. Mary’s School. 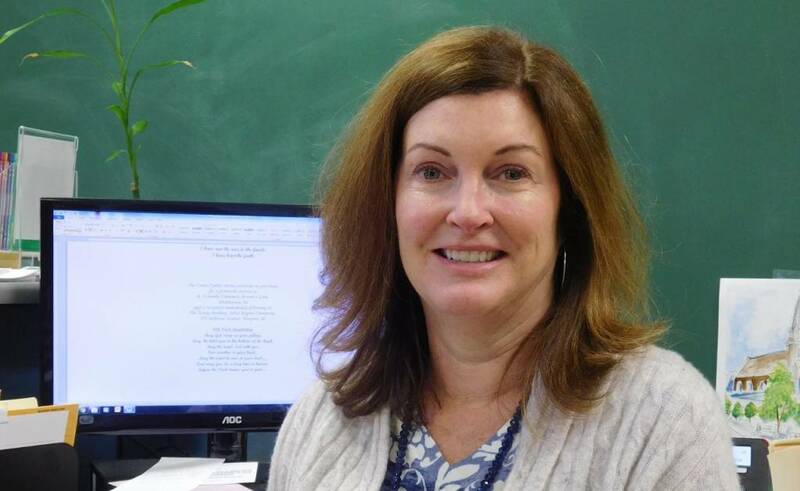 It’s no wonder Debbie considers St. Mary’s Church “home.” As an adult, if Debbie wasn’t volunteering for the Church, she most likely would be at the Joseph H. Gaudet Middle School in Middletown where she was a special education teacher for 35 years. She is a graduate of Salve Regina University and earned her Master’s Degree in Elementary Education, Special Education and Reading from Rhode Island College. Debbie has dedicated her life to St. Mary’s Church, her family, and caring for the spiritual well-being of others and the welfare of hundreds of families and children by sharing her knowledge and skills. As an integral member of the Parish leadership team, Debbie develops curriculum for religious education classes, creates lessons for 9:30 a.m. Sunday Mass “Liturgy of the Word for Children", maintains the professional development of numerous religious education teachers, coordinates community outreach programs for children and teens, teaches baptism seminars for new parents and oversees other faith formation workshops and classes, among her many duties. Referring to Debbie as the “principal” of St. Mary’s Parish would most accurately describe her contributions to the Church as she is always on the go and seeking new ways to help others build their Catholic faith and grow in their relationship with God.